Dolmens [in Breton: large stone table], are megalithic constructions built between the late Neolithic and Chalcolithic Age. There are thousands in Western Europe. Its function is usually attributed to the collective grave, but also believed that it could be a way to claim a territory and strengthen the group identity (posibly previous to the cities of the Bronze Age). In the Iberian Peninsula there are detected several sets of these ancient constructions (Alentejo, Andalusia, Extremadura, Galicia, Asturias, Basque Country, Aragon, Catalonia, Castilla-Leon and Castile-La Mancha). 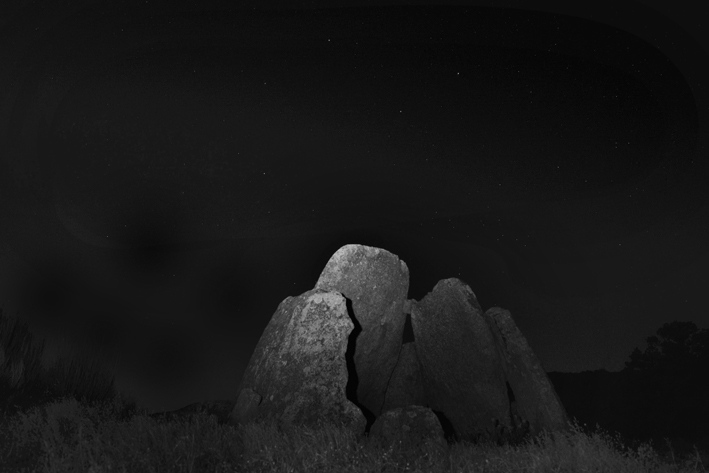 - Dolmen <<Data I>> in Aceña de la Borrega, Extremadura.